I'm back for Chapter 2! Rory is ... in a whole new world (and not the kind Jasmine sings about in Aladdin). 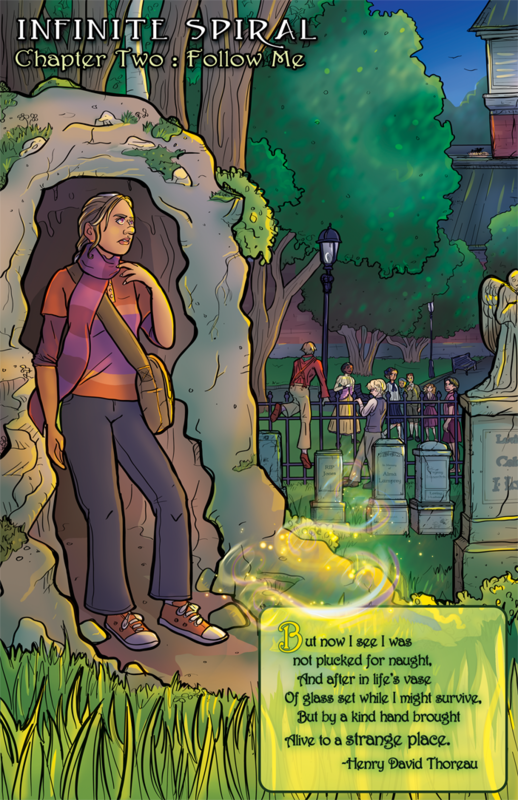 A trail of fading magic is keep Rory connected to the duo. The boys are still running, through a cemetery as some non-Wicked children stare at them like they are crazy. There is a bit off off perspective here, but I just have to let it go. I really tried to work with three reference photos and grid as best I could, but then lost it in the inking a bit. Have it fixed on the next page (which is panel-tastic).